This week we asked: What does family safety look like? 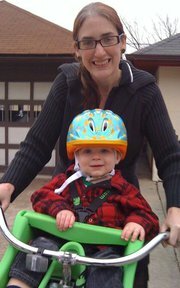 From Jenn: “Highly rated child’s safety seat, properly fitted helmet. 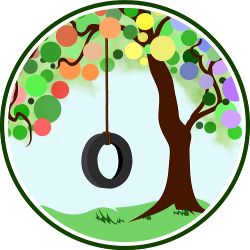 From Charise: “We try to keep our family safe from toxins and chemicals by using natural cleaners. 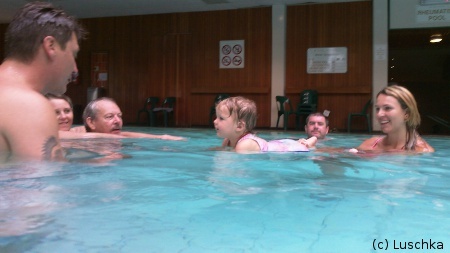 Safest seat in the house! 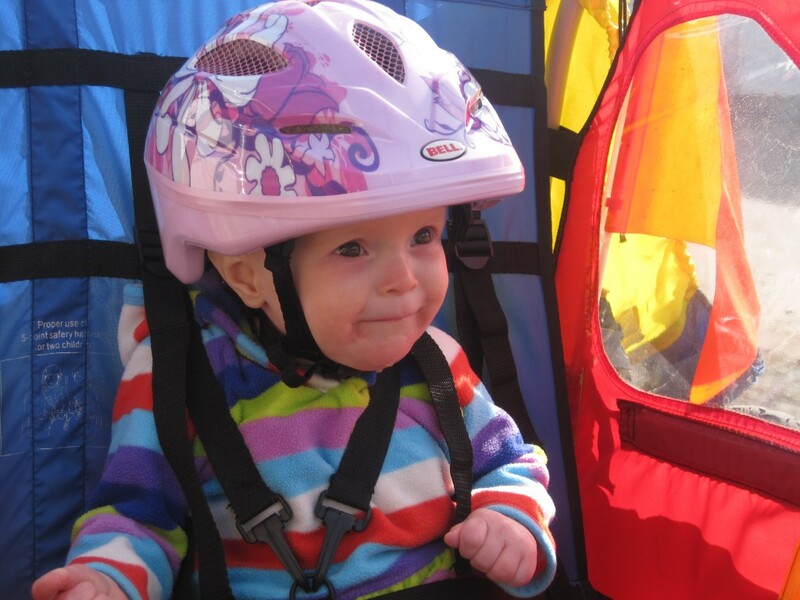 Delilah rides in style and safety in her bike trailer wearing her fancy helmet! Tell us: What does safety look like for your family? Love the smiling face of Lauren’s kiddo 🙂 Saftey for us means bike helments and no running on concrete and being careful around the kitchen. Thank you! 🙂 It makes me smile, too. I agree…what a cutie!!!!!!! the curls, the cheeks, the smile…I love him! I love the cleaning products safety one! 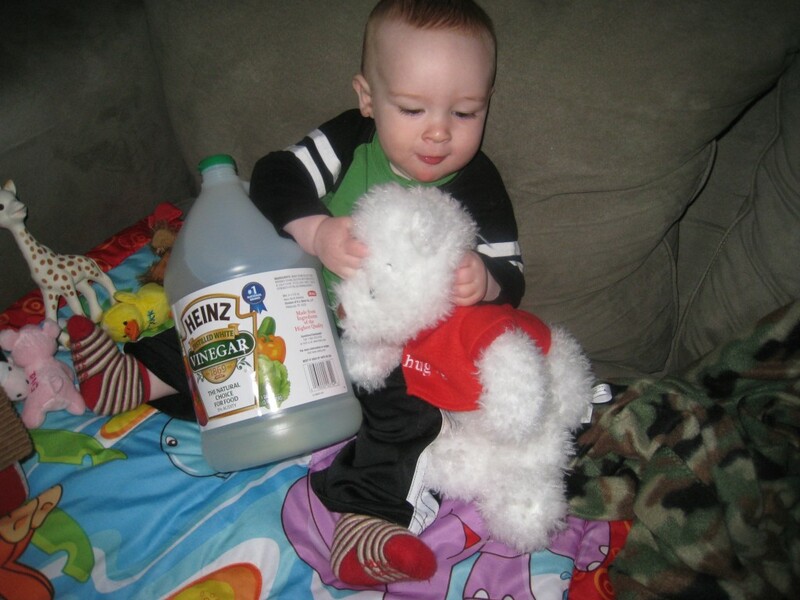 I see my son pushing our bottle of vinegar around once in awhile and makes me feel like we are doing the right thing by cleaning green. Those are great! I can never get enough of looking at photos of cute little ones. <3 We will be looking into a bigger rear facing here as well. Little miss will probably hit the height limit way before she should be turned FF. It’s well worth it. Once I read the statistics (and crash reports — eek) of RF vs. FF crashes, I was convinced. It makes me want to ride rear facing! 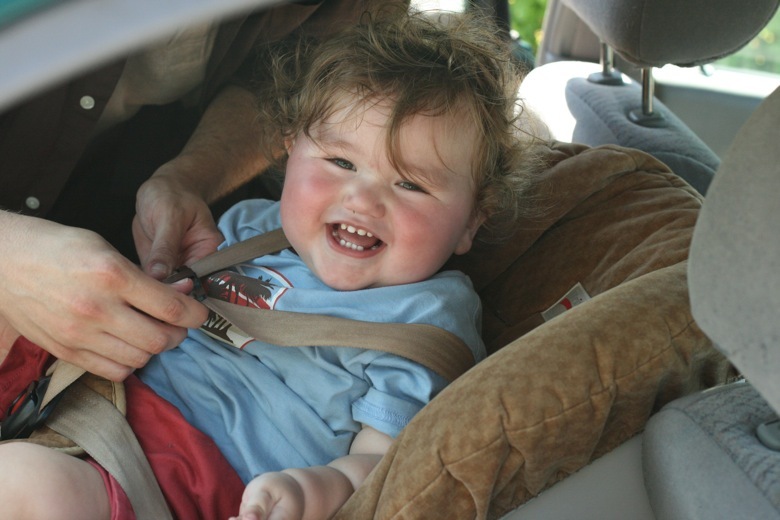 I found this forum http://www.car-seat.org/ a great resource for helping to find a seat that fits our kid & our car — they could help you choose one with a higher shell height. Some of those images are too cute. 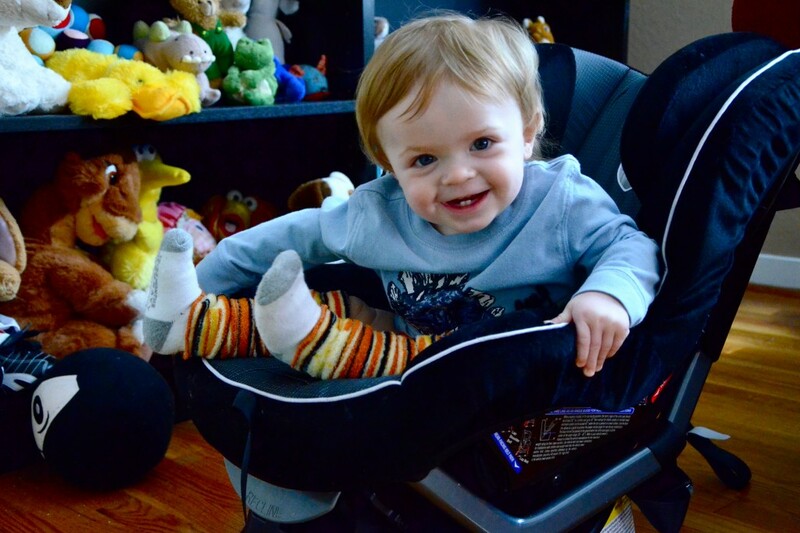 I’m impressed that Lauren has managed to keep Mikko in a rear-facing car seat for all this time. My kids were desperate for front-facing by age 1.